Always Aubrey: Beer, Roller Derby, and Fondue... WINNING. My man Duke Silver is in town! Woohoo! We have had so much fun spending time in both Franklin and Nashville, helping him get to know my new digs. We saw Pixar's latest movie, Brave (we both LOVE Pixar!) and spent all day Saturday in Nashville. I drove Duke through The Gulch, 12South, Music Row, and down Broadway to give him a little overview of the city. I think he liked it! I love the neon on Broadway. We had a great, light lunch in the Gulch at Urban Flats, then shopped around a little bit before a visit to Yazoo Brewery. Then we headed to catch some roller derby bouts by the Nashville Rollergirls! Yup, I knocked another item off my Before I'm 30 list. It was less flashy than I imagined (darn movies and books) but still excited. Lots of falls and pushing, and I figured out the rules pretty quickly. Woohoo! We ended the night with a fantastic fondue dinner at The Melting Pot. I mean, amazing!!! 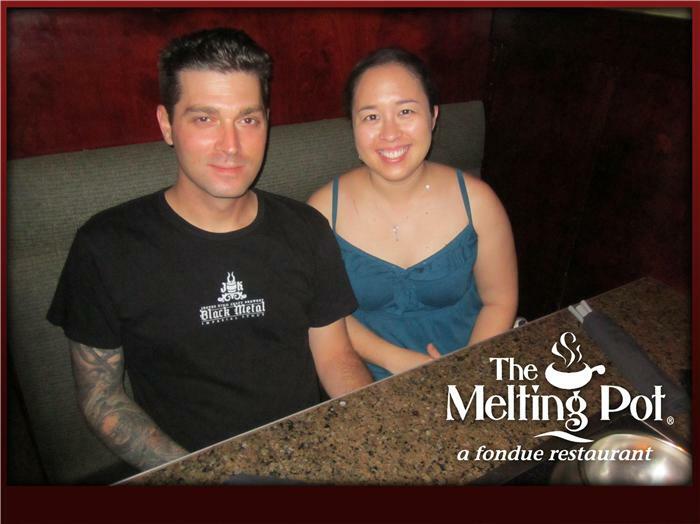 I love their blackberry sage lemonade, anything with cheddar cheese, and the flaming turtle chocolate dessert fondue. I'd found a coupon in a recent circular, and we both loved the meal. They even take a free photo of you! Cheesy, but a great way to cap off the night. Can't wait to have more adventures with Duke while he's here.